The SIWU Sparkling Wine Bottle Opener is a sturdy kitchen tool. It is made of metal, easy to hold in the hand, albeit slightly heavy due to its substance, but powerful. 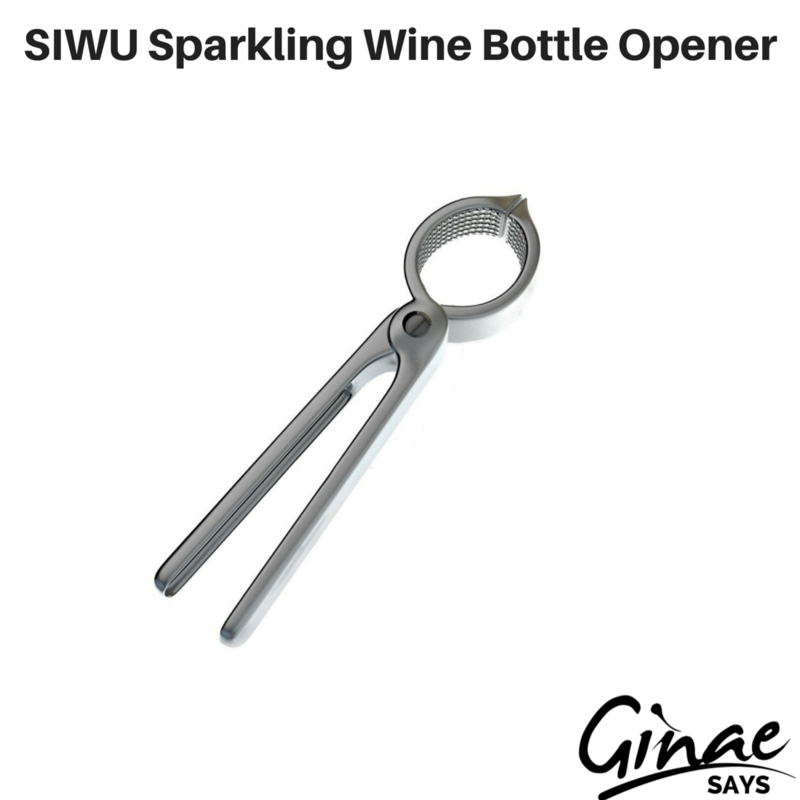 The curved ends of the opener have cork-gripping grooves. After having damaged my last cork getter, this is a welcome item to add to my wine and champagne arsenal. Seriously, I bent that thing trying to get it to work. It didn't hurt my feelings when I threw it away either.